Styled with justin bralette and lebna pant . Cut from a sheer fabric chosen for its beautiful drape, this blouse has an effortless, unstructured shape that looks inherently feminine. 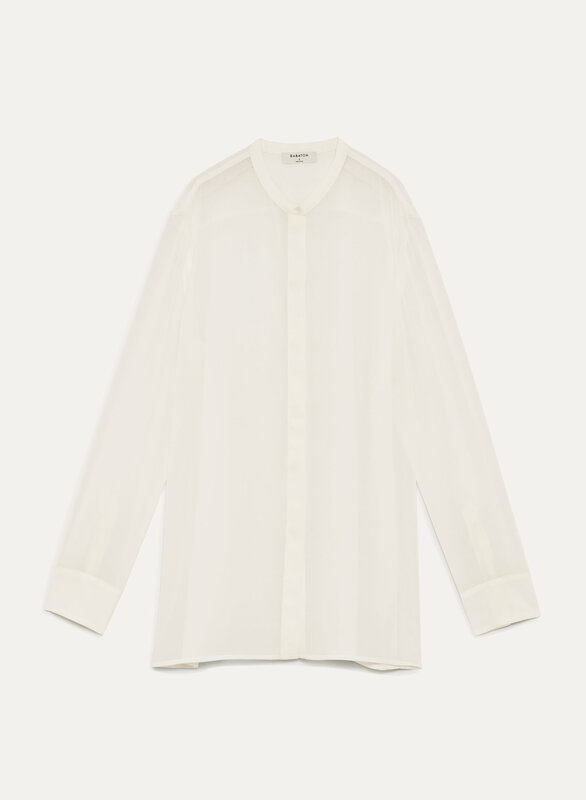 Its mandarin collar and hidden button placket play into a minimalist look.